Comm Eye Health Vol. 28 No. 92 2015 pp 72 - 73. Published online 15 April 2016. Associate Specialist: Diabetic Retinopathy Screening Service, Glasgow, Scotland. Consultant Ophthalmologist and Clinical Director: Diabetic Retinopathy Screening Service, Glasgow, Scotland. Ability to enhance images – magnification, red-free, enhanced contrast, etc. 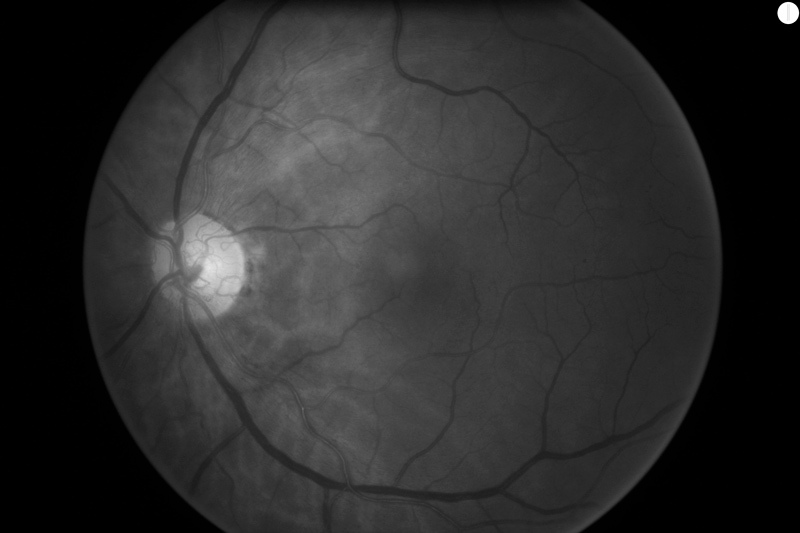 When using the Scottish Grading Protocol2, just one retinal photograph is taken, which is centred on the fovea. The field must extend at least 2 disc diameters (DD) temporal to the fovea and 1DD nasal to the disc for adequate visualisation. The signs of diabetic retinopathy are covered on page 65 and on pages 70–71. For DR screening, certain signs are more important than others. Blot haemorrhages should be distinguished from microaneurysms, not just by their darker appearance but also by their size – the larger diameter of a blot haemorrhage should be equal in size to, or larger than, the diameter of the widest vein exiting from the optic disc. 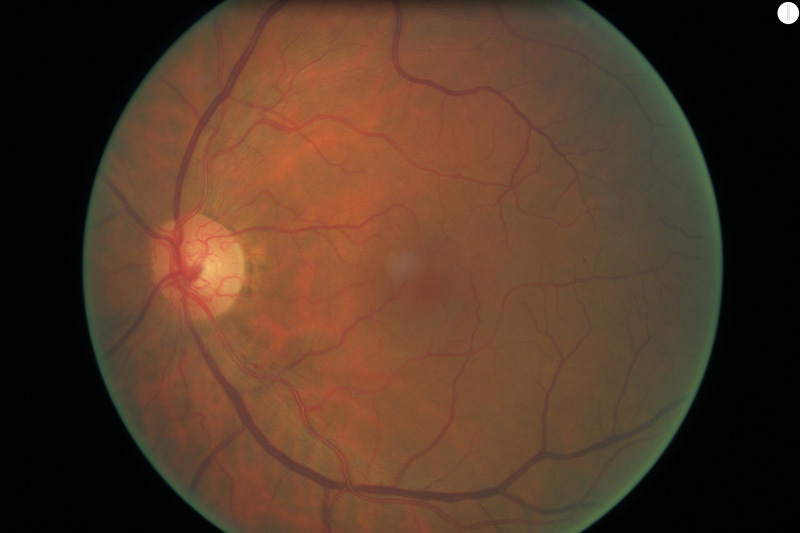 Chronic retinal oedema results in precipitation of yellow waxy deposits of lipid and protein known as exudates. 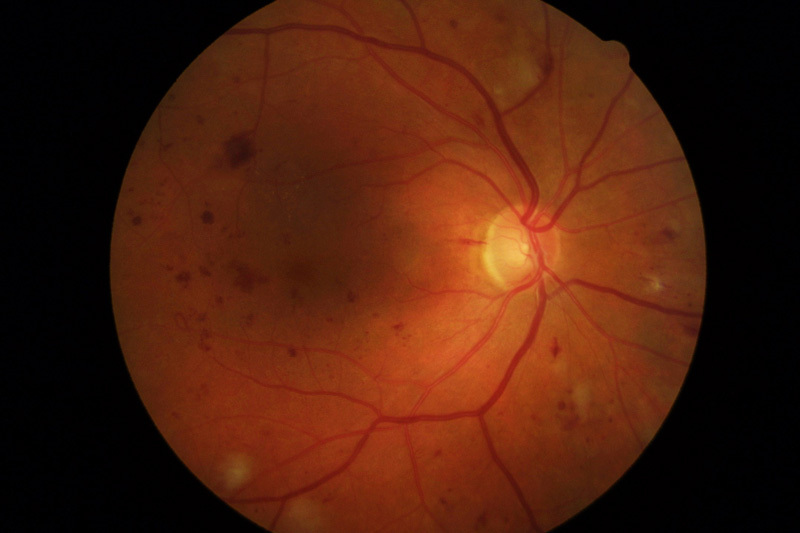 When blot haemorrhages and exudates are visible within the macular area, they are considered markers for macular oedema. Signs of retinal ischaemia include blot haemorrhages, venous beading and intra-retinal microvascular anomalies (IRMA). Venous beading is a subtle change in the calibre (thickness) of the second and third order retinal veins which gives them an irregular contour resembling a string of beads. IRMA look like new vessels; however they occur within areas of capillary occlusion and do not form vascular loops. Unusual vessels with loops therefore, should be treated as NV. Most grading protocols are based on classification systems for DR which track the appearance and progression of disease (for example, the Early Treatment of Diabetic Retinopathy Study, or EDTRS, classification). Location (distance from fovea) is important when grading maculopathy. Visual acuity can be used as a marker for macular oedema, although it may be affected by other pathology such as cataracts or refractive error. The Scottish Grading protocol grades the severity of retinopathy from R0 to R4 and of maculopathy as a separate grade from M0 to M2 (Table 1). R6 is a stand-alone grade for poor quality images which cannot be graded. If patients have technical failures at photography they must undergo further screening by slit lamp biomicroscopy. 1 Harding S, Greenwood R, Aldington S, Gibson J, Owens D, Taylor R, et al. Grading and disease management in national screening for diabetic retinopathy in England and Wales. Diabet Med 2003;20:965-71. 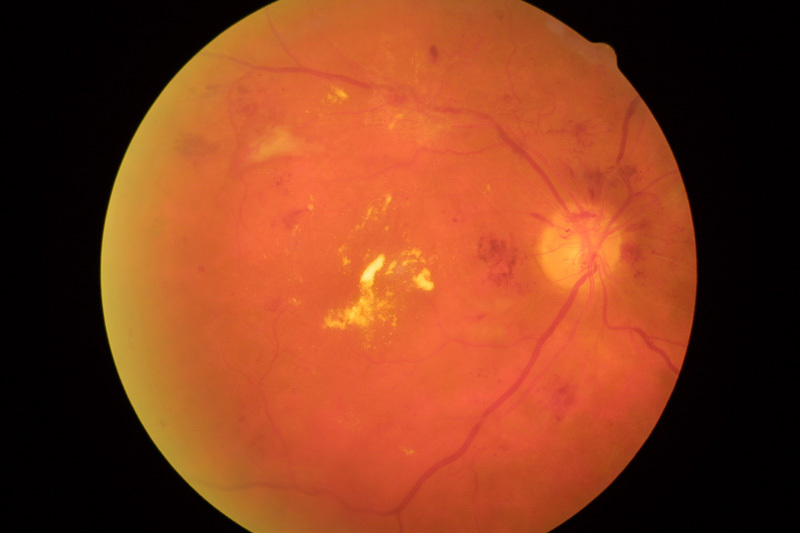 4 Arun CS, Al-Bermani A, Stannard K, Taylor R. Long-term impact of retinal screening on significant diabetes-related visual impairment in the working age population. Diabet Med 2009;26:489-92.